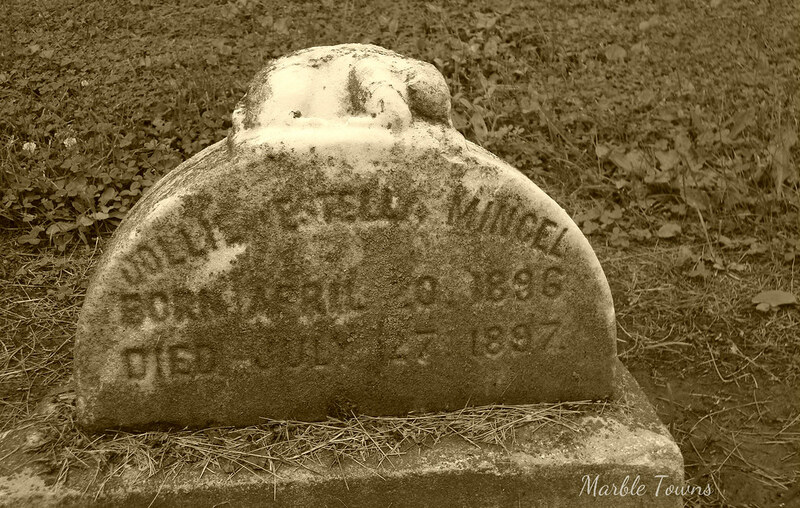 Dollie Estella Mincel, April 20, 1896 – July 27, 1897. 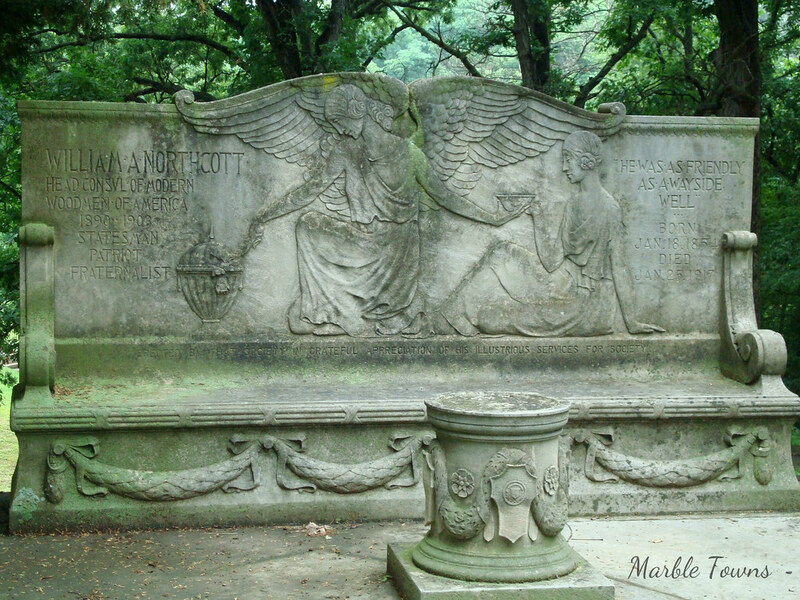 She is found in Oak Ridge Cemetery, Springfield, IL. I usually leave these posts wordless, but I found something a bit disturbing on Find-a-Grave when I was double-checking the name — “Records say she was killed by being hit in the head with a hatchet, Aged 1Y, 3M, 23D.” I’m not sure where the person who posted this got the information, so I might be doing a bit of digging…. 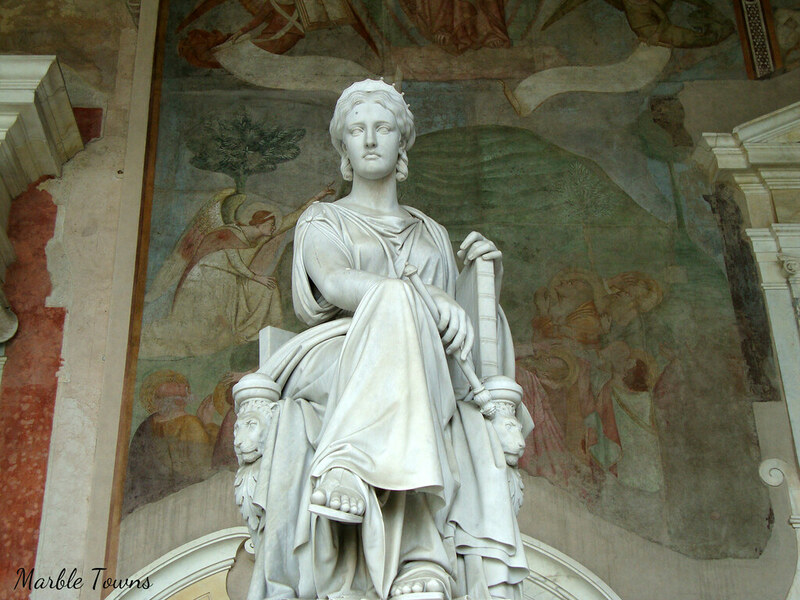 Welcome to Week #14 of Taphophile Tragics on this blog! I’m sorry again about missing last week, but now, I’m back on track, so I’m hoping people will visit and share their links. My list of links is Powered by Linky Tools. Sorry, but this is how it works if I’m using the free version of WordPress. Please Click here to enter your link and view this Linky Tools list… which will open in a fresh tab/window. This week I’m sharing a photo from Oak Ridge Cemetery in Springfield, IL. This says: William A. Northcott. Head consul of Modern Woodsmen of America 1890-1903. Statesman, patriot, fraternalist. He was as friendly as a wayside well. 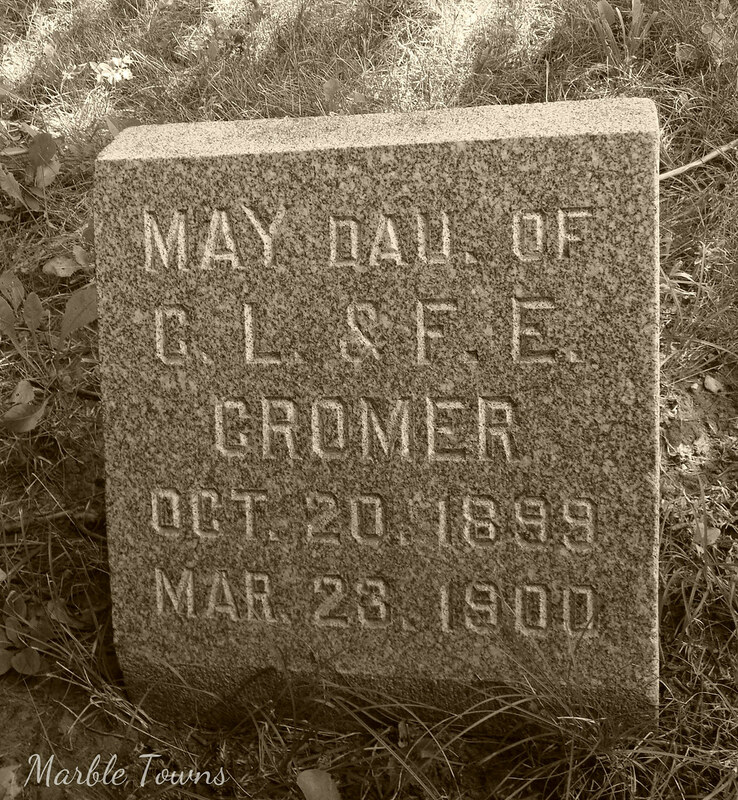 Born January 18, 1854; Died January 25, 1917. Erected by that society in grateful appreciation of his illustrious services for society. William Northcott is listed in a book, “Progressive Americans of the Twentieth Century” – which shows that he, among other accomplishments, was twice elected head consul of the Modern Woodmen, and was also elected lieutenant governor of Illinois in 1896. 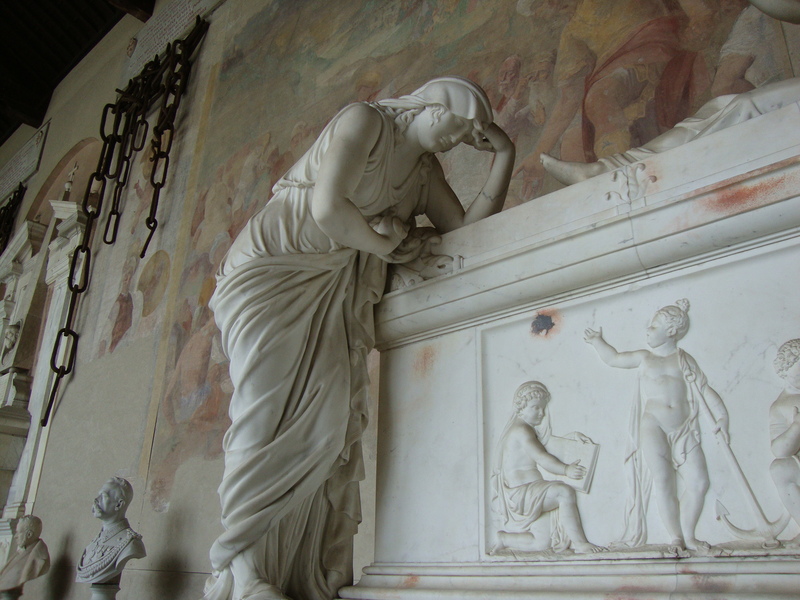 Sorry, no Taphophile Tragics or real posts this week ……. not feeling well, so I’m taking a few days off. I’m sure after some rest (and after my emergency trip to the dentist this morning), I’ll be back on track. Have a good rest of the week, everyone! Looking a bit more, I found reference to Reverend J.C. Truesdale in a book, History of Jefferson County, PA, which says, “The next pastorate was that of Rev. J.C. Truesdale. About the year 1859 this brother took charge of Jefferson. His pastorage was short, covering a period of about four years, but it was interesting. The anti-slavery controversy grew warm. Civil war was inaugerated. They took sides as they were loyal or disloyal, and as this brother uttered no uncertain sounds, he was highly esteemed, and he was cordially hated. Some time during the year 1863 he resigned his pastoral charge and and entered the army as a chaplain. 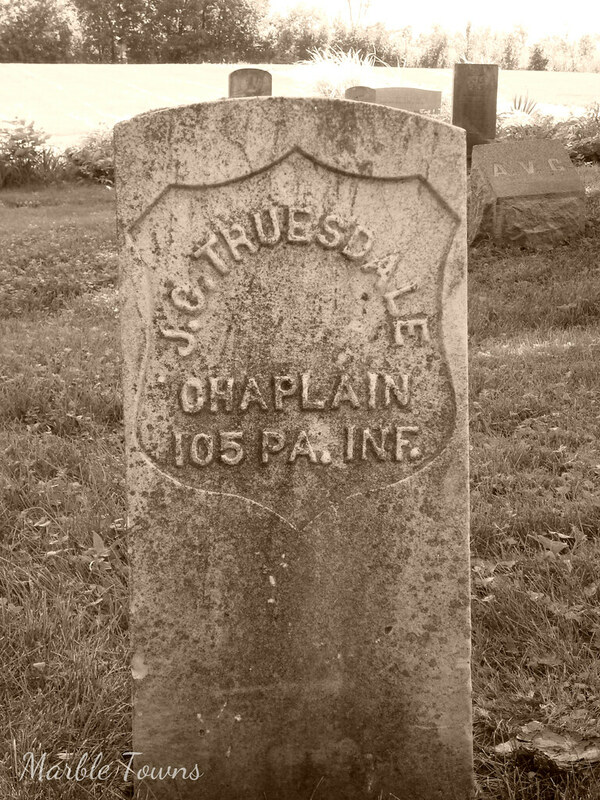 In this he served to the close of the war.” This book goes on to mention that Reverend Truesdale settled, after the war, in a Presbyterian congregation in Paxton, Illinois for a few years. 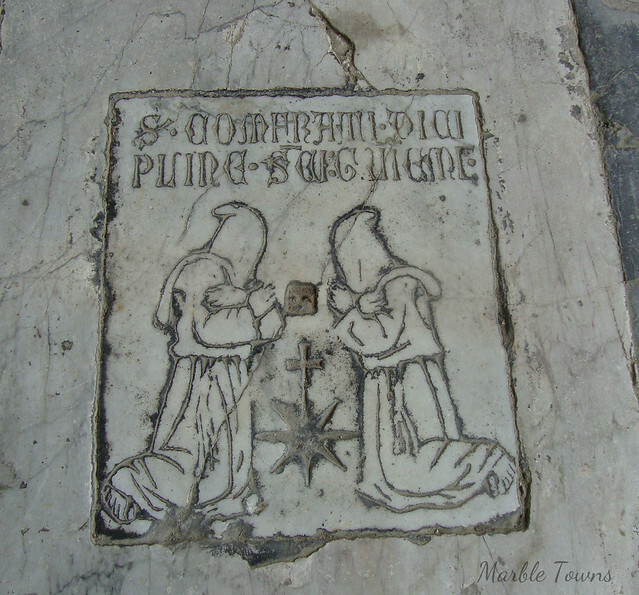 Paxton, IL is about 2 hours away from Eola, IL, where this marker is. UPDATE: Gene very nicely commented and gave me some information, and I’m following up on this post, as well. I was able to use Ancestry.com at my library and I found some information on Captain McKendree. He was born on July 4, 1835 in Sumner, and died, as you can see from the stone, on June 6, 1864 in Louisville, KY. His parents were Dudley Ellis McKendree and Sarah Moore, and he shows up in the 1850 census — and also shows up in the document for Kentucky Confederate Volunteers at #1254 – Captain – Mustered in 11/9/1861 in Glasgow, KY.
Cave Hill Cemetery, Louisvile, KY. 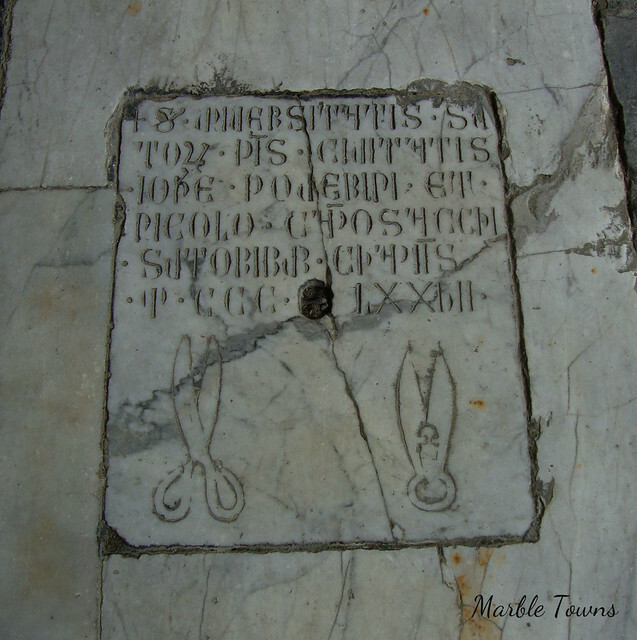 The simplicity of the stone, as well as the last words on it, were what caught my eye. 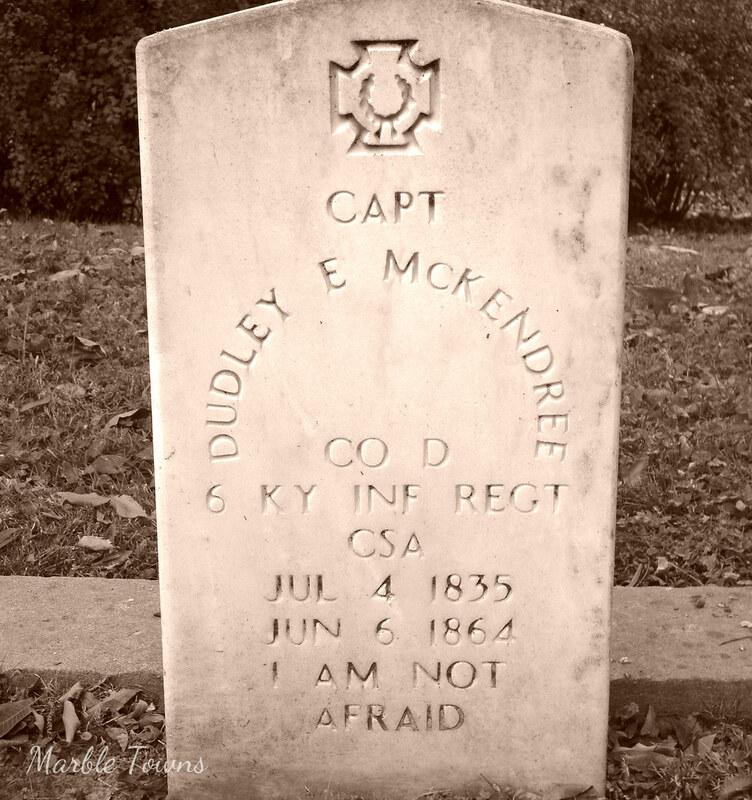 Young Captain McKendree was only 29 when he died during America’s Civil War. I wasn’t able to find anything about Captain McKendree, although there is some information about Kentucky’s regiments during this war. According to what I found, “The regiment lost a total of 216 men during service; 10 officers and 105 enlisted men killed or mortally wounded, 5 officers and 96 enlisted men died of disease.” It’s a very sad fact of this war, and of many wars, that people often didn’t die from combat, but rather, died from disease. I’m not sure from what cause Captain McKendree passed from this world, but I appreciate the sentiment found on his marker.